Bianca Gonzales and her husband Jc Intal welcomed the newest member of their family on October of last year. The couple claims that it was indeed the best feeling ever. They named the baby Lucia. 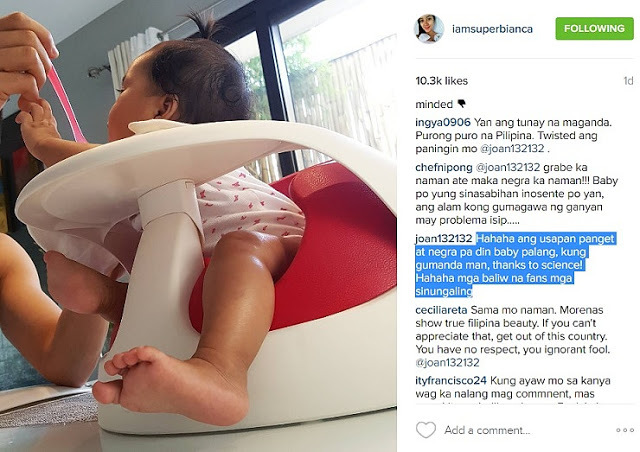 Recently, the mother Bianca Gonzales-Intal posted a photo of her lovely girl as she turned six months and it was the first time of the baby to take her solid foods. However, there are some people who could not help themselves from saying negative things about her daughter. Meanwhile, another follower said that there still time to change.